Some of our very own are performing in "Camelot" at the Royal Theatre in Benton this weekend. The director of the show is D. Brent Miller, Sheridan High School choir director and drama teacher. Assistant director is Matthew Burnett, 2013 SHS graduate. Acting in the show are Matt Cerino, 2016 SHS graduate, and current Sheridan students, Annslee Clay, Stormy Donham and Nathan Clay. "Camelot" is a musical by Alan Jay Lerner (book and lyrics) and Frederick Loewe (music). It is based on the King Arthur legend as adapted from the T. H. White novel The Once and Future King. The musical has become associated with the Kennedy Administration, which is sometimes referred to as the Camelot era. Tickets are available for Thursday through Saturday, June 16, 17, and 18, at 7 p.m. and Sunday, June 19, at 2 p.m. Reserve tickets at 501-315-5483 or theroyalplayers.com. 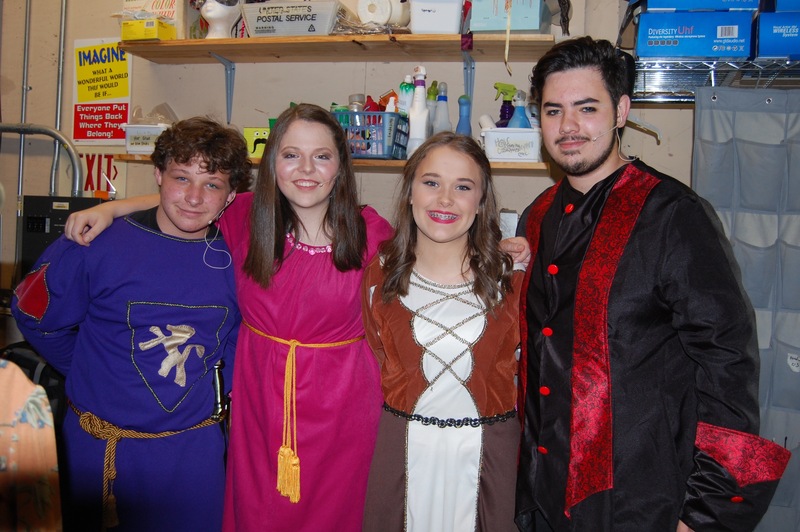 The Royal Theatre is a community theatre run by volunteers in Saline County, and their volunteer base reaches past Saline County to Sheridan, Hot Springs, Malvern, Conway, Cabot, Little Rock and Arkadelphia.